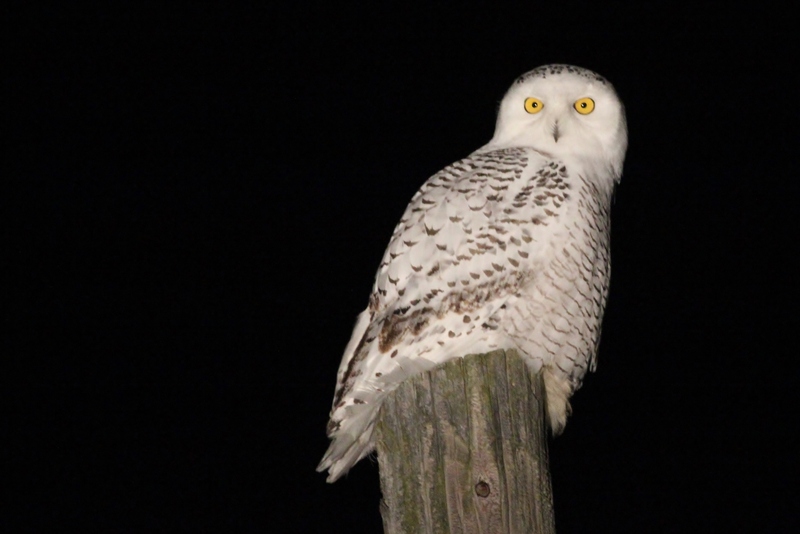 Centre County’s 2nd Snowy Owl of the winter was discovered after dark tonight, by Jordan and Ken Hillsley while they were driving along Circleville Rd. Ian Gardner and I saw the report come through on our eBird alert and decided to run over and see if we could spot the owl. We pulled into Circleville Park first, and a Great Horned Owl perched on one of the pavilions got our hearts racing. 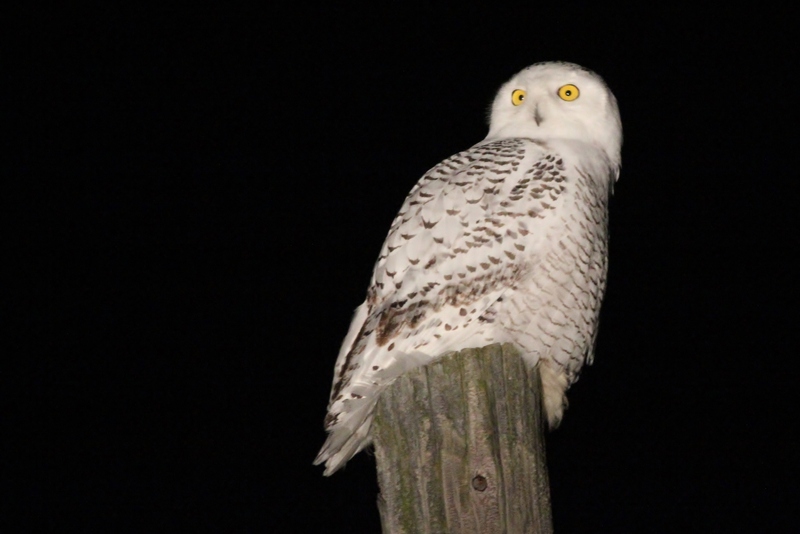 Then, just down the road, we spotted the Snowy Owl perched on the second telephone pole north of the old silo in the Haugh Family Preserve! One of my most wanted birds ever for Centre County! 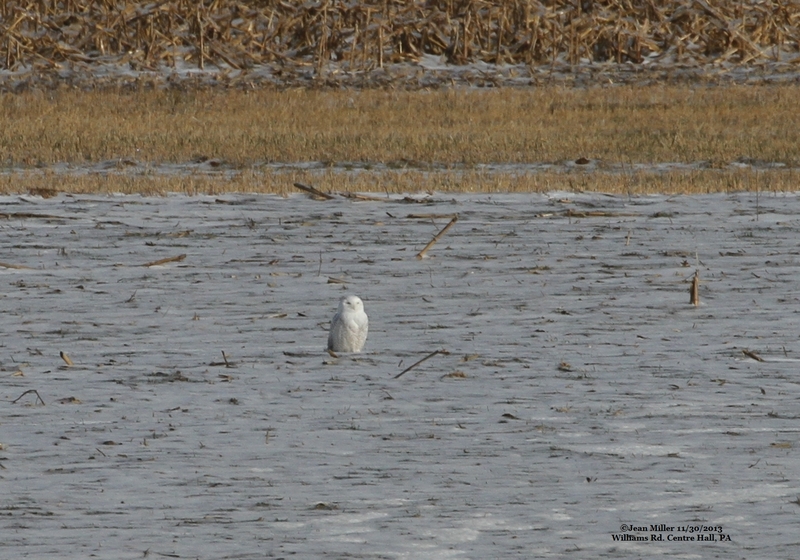 This bird represents the 8th Centre County record (unless this is the same bird that was seen on November 30th 11 miles east on Williams Rd). 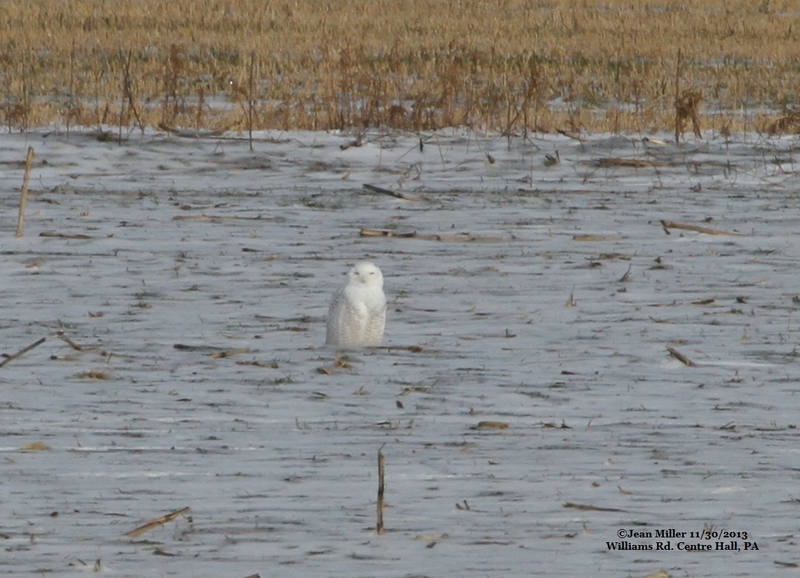 Here’s to hoping this winter will be full of these arctic visitors! 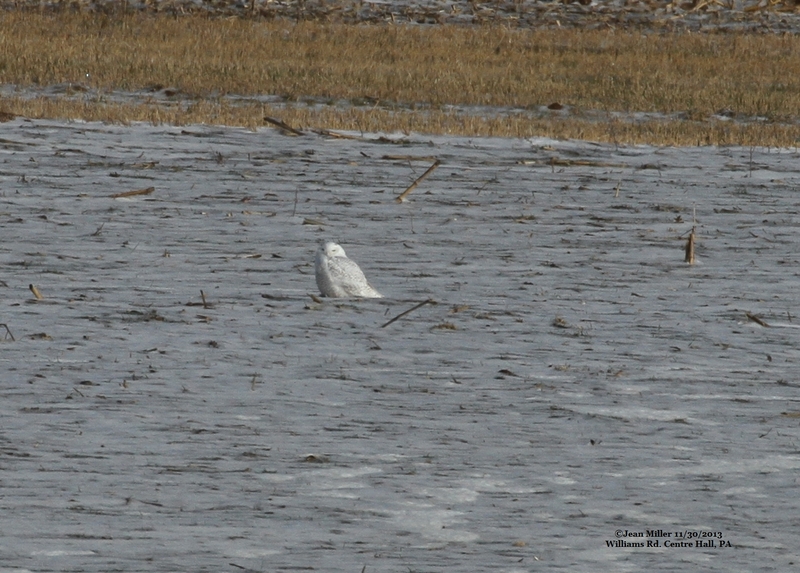 For a comparison, here are three photos of the Williams Rd Snowy Owl taken by Jean Miller. That owl was found by Jim Dunn.